In the job hunt, employers can’t discriminate on the basis of religion, race, or ancestry. But 15 years ago, Kiki Peppard learned the hard way that employers could and did ask her if she had children and if she was married. As a single mother of two in 1994, she was asked time and time again about her familial status, and rejected from the many jobs she interviewed for. Since then, Ms. Peppard has worked in Pennsylvania to end “maternal profiling.” Despite her hard work and some legislative support, the bills continue to die in committee. Ms. Peppard’s situation is not unique – only 22 states prohibit asking if an applicant is married or has children. She is now asking the White House Council on Women and Girls to take up the case as well. Please write to your state and federal legislators today to ensure that maternal profiling stops soon! Reminder: Sign Up Today for Overlooked and Undercounted Forum May 29! Please register by clicking here. Registration is required. If you have problems registering online or would like to register over the phone, please R.S.V.P. with Kate Scully at kscully@pathwayspa.org or 610-543-5022 x 255. One-fifth of the 3.4 million households in Pennsylvania lack adequate income to meet their basic needs, representing a large and diverse group of families experiencing distress. That's one of the findings from PathWays PA's latest study of the economic needs of the state's working families, Overlooked and Undercounted: Struggling to Make Ends Meet in Pennsylvania. It is estimated that 40% of households who lose their homes because of foreclosure are renters. Currently, in most states, renters get little or no notice to vacate their homes upon their landlords' foreclosures. A new law is meant to change that by giving renters living in foreclosed properties important protections. The Helping Families Save Their Homes Act contains renter protections that include a 90-day pre-eviction notice to tenants whose homes have gone into foreclosure. If the new owner of the property will not be living in the house then the tenant has a right to remain in the home for the duration of the lease and tenants with Section 8 vouchers will be able to remain with both their lease and rental assistance payments intact. For more information on this new law, visit www.nlihc.org or contact the Outreach Team at (202) 662-1530 or at outreach@nlihc.org. PathWays PA presented at the Westmoreland County Community Action Community Forum. Below is a copy of the presentation. Pennsylvania’s Children's Health Insurance Program (CHIP) covers millions of children whose family incomes are too high for Medicaid and too low for affordable health coverage, as do similar programs across the country (often known as S-CHIP). To prevent people from dropping private health coverage many children must remain uninsured for months before they can enroll. All but 11 states impose waiting periods, including Pennsylvania, which for some applicants can be up to six-months. Not everyone noticed, but last month, the Supplemental Nutrition Assistance Program (SNAP, more commonly known as food stamps) expanded the amount of benefits families could receive as part of the Recovery Act. On average, families receive about $20 more per month to spend on food needs, which is then used in local supermarkets, farmers markets, and corner stores, expanding the economy. In this economic downturn, more families have reached out to food stamps to stretch their budgets further. Nationally, food stamp use increased by 17.4% from February 2008 to February 2009; in Pennsylvania, food stamp use went up by 11.6%. There are plenty of myths going around about the SNAP program, including the belief that only unemployed families qualify for the program. However, people can work and still qualify. To learn more about eligibility, visit Pennsylvania’s Department of Public Welfare website. Today, voters across Pennsylvania registered as Democrats or Republicans will cast ballots for many offices, such as State Judges and Appellate Justices, District Attorneys, City Controllers, Judges and Inspectors of Elections, and Trial Judges. Also, registered voters in some locales can vote on important ballot questions. Need some election day assistance? Find a polling site based on name and birth date: https://www.pavoterservices.state.pa.us/Pages/VoterRegistrationStatus.aspxFind a polling site based on address: http://www.votespa.com and click on "where to vote"Learn about their voting rights and what to bring to the polls at http://www.votespa.com In Philadelphia, voters can call the Philadelphia Board of Elections at 215-686-1500/1523/1590. They can also visit www.voteforhomes.org to view nonpartisan voter’s guides and posters. On May 29, we will discuss the findings of the report with Carol Goertzel, President/CEO of PathWays PA, and Dr. Diana Pearce, author of the report and the Director of the Center for Women's Welfare at the University of Washington. Our new study, Overlooked and Undercounted: Struggling to Make Ends Meet in Pennsylvania, has been the subject of news stories, blog postings, and radio interviews this week. Check the sidebar of our blog to see the stories! HARRISBURG - One-fifth of the 3.4 million households in Pennsylvania lack adequate income to meet their basic needs, representing a large and diverse group of families experiencing distress. That's one of the findings from PathWays PA's latest study of the economic needs of the state's working families, Overlooked and Undercounted: Struggling to Make Ends Meet in Pennsylvania. The first-ever study, done in partnership with the state Department of Labor and Industry, measured the number of families in economic distress using the Self-Sufficiency Standard for Pennsylvania. The Standard calculates the wages 70 different family configurations must earn to pay for basic necessities such as child care, nutritious food, adequate housing and health care in each of the state's 67 counties. Many women are unaware that their insurance may not cover maternity and others will be rejected from insurance plans because their pregnancy is considered a pre-existing condition. All of them will pay more for their insurance because they are women. On May 4, a rally in Harrisburg drew crowds to talk about the insurance needs of women. A slideshow of the rally can be viewed on MCC's website. Constituents delivered MCC’s new report, Insuring Healthy Births, with a carnation in honor of Mother’s Day, to key policymakers in Harrisburg. The report is a roadmap for increasing access to insurance and maternity services throughout PA. In Pennsylvania, a large and diverse group of families who may not be below the Federal Poverty Level are experiencing economic distress and are routinely overlooked and undercounted. That’s the finding from PathWays PA’s latest publication, Overlooked and Undercounted: Struggling to Make Ends Meet in Pennsylvania, which uses The Self-Sufficiency Standard of Pennsylvania to determine how many households live below self-sufficiency. This report will be released on May 12, 2009, at www.pathwayspa.org and at our blog, http://policypathwayspa.blogspot.com. Also, for the news media PathWays PA will be hosting a conference call with the authors of the report on Monday, May 11 at 2:00 PM. If you are interested in joining us on the call, please email policy@pathwayspa.org to obtain the conference call information. With outbreaks of a potentially pandemic swine flu spreading across the United States, the U.S. Centers for Disease Control gives some logical advice: If you are sick, stay home from work to avoid infecting others. Staying home from work, however, is not an option for the 46 percent of Pennsylvania workers who have no opportunity to earn sick time. Ironically, the workers who most come in contact with the public are those least likely to have paid time when they are sick. Ninety-two percent of wait staff and 79 percent of child-care workers cannot earn paid sick days. These individuals go to work sick, risking the spread of infection to others, because they currently have no other option. Brighten up the day for the great moms in your life with this video e-card from MomsRising! Senate Bill 850 passed in the Senate and is now on to the House. This bill eliminates many programs and commissions important to Pennsylvanians. Below are just some of the many items SB 850 would cut or eliminate. The programs listed fund many child and education services, as well as Commissions, that ensure the voices of Pennsylvanians are heard in Harrisburg. Industry Partnerships funding is eliminated. This program was created under the Job Ready PA initiative in 2005 and provides grants for technical assistance and other support to seed-fund additional industry partnerships in the Commonwealth. Still haven't found the whole text online anywhere, but there are a few great write-up's of the First Lady's speech to Corporate Voices for Working Families here, here, and here. "Twenty-two million working women don't have a single paid sick day. That means they lose money any time they have to stay home to take care of their kids. You know, imagine making that choice. And we do it all the time. And even when I had sick leave, I found myself, you know, hoping that the kids would stay well, just I couldn't afford to take the day off because there was a meeting, or something was going on." Now is definitely the time to ask your legislators to co-sponsor and vote for the Healthy Families Act. Think of it as the Mother's Day present (and Father's Day, and Grandparents Day...) that keeps on giving. Swine flu or no swine flu, when you or your family are sick, you need to be able to stay home. That holds doubly true for employees who work with vulnerable populations in nursing homes, day cares, and other health care sites, as well as employees who work with food. Yet in Pennsylvania, 46 percent of all workers laid paid sick days, preventing these workers from staying home to recover. Tonight, the House of Representatives will hold a Special Order to talk about the need for sick time (you can watch it on C-SPAN!!) and next week the Healthy Families Act, which allows workers to earn up to 7 days of paid sick time per year, will be re-introduced. In Pennsylvania, Representative Allyson Schwartz and Representative Bob Brady have already signed on, as has Senator Bob Casey (feel free to call them to say thanks!). But some of the representatives who cosponsored the bill in the past from Pennsylvania need to hear from you about the importance of earned sick time. For every dollar invested in housing the state sees a return of $1.62 to $2.28, producing a double benefit: housing for neighborhoods that need it and jobs for those doing the construction and related work. At an event in Harrisburg yesterday, the Housing Alliance of Pennsylvania unveiled an economic study showing that state investment in housing pays solid returns. This study proves that it makes economic sense for the state to invest in rehabilitating and creating more housing within reach of those who need it. The Housing Alliance of Pennsylvania supports the creation of a Housing Trust Fund, similar to what has been established in 38 other states. Legislation to create the fund is currently in Committees in the state House and Senate. For more information please visit the Housing Alliance of Pennsylvania’s website. In Pennsylvania, a large and diverse group of families are experiencing economic distress and are routinely overlooked and undercounted. That’s the finding from PathWays PA’s latest publication, Overlooked and Undercounted: Struggling to Make Ends Meet in Pennsylvania, which uses The Self-Sufficiency Standard of Pennsylvania to determine how many households live below self-sufficiency. PathWays PA, a service and advocacy organization for women, children and families, is releasing this report to examine the impact of education, gender, and race on the overlooked and undercounted in Pennsylvania as they relate to the Self-Sufficiency Standard. The report also shows how many households in each of Pennsylvania’s 67 counties live below the Self-Sufficiency Standard, along with other important information. We write today to urge your opposition to Senate Bill 850, a state budget bill that will severely cut programs critical to children and families. PathWays PA serves more than 6,000 women, children, and families in the Greater Philadelphia area. Our programs endeavor to keep families together and to work with families so they can attain self-sufficiency. Many of the programs critical to the stability of these families would be cut by SB 850. Just three years ago, our report on the needs of working low-income families in Pennsylvania focused on this simple premise. Yet as 2009 continues, the situation for families seems anything but simple. Investing in Families, written in late 2006, illustrated some of the stark contrasts between workers’ low wages and benefits and business’ high productivity and profits. Three years later, workers still find themselves struggling to make ends meet with insufficient wages on top of slim, or nonexistent, benefits. To make matters worse, today’s families are struggling to get by amidst a growing foreclosure crisis, a tightening credit market, and increasing layoffs. It has been one year since we released the Pennsylvania Elder Economic Security Standard Index, a study looking at the cost of housing, food, health care, transportation, and home and community based long-term care services for elders throughout Pennsylvania. For all elders, particularly women, there is still a lot of work to be done to achieve retirement security. Women in Pennsylvania have less income than men, and therefore are more likely to face challenges just to make ends meet. Over their lifetime, women earn 38% of what men earn. Despite the fact that women tend to live longer and therefore need their money to go further, women tend to be concentrated in and recruited for jobs without pensions. Meanwhile, investment and financial counseling programs tend to target high earning men. In the past week, more and more people are talking about the link between earned sick time and swine flu - and no surprise, since the CDC and the President recommend that people stay home when they are sick, yet 47% of Americans have no paid sick time to rely on. Here is a sampling of some of the stories we have been seeing. Sensible approach to flu scare makes no sense for many working AmericansNew York Times EditorialStaying Home Isn't Always PossibleSwine flu or not, many workers can't stay homeA Sick SituationEarned Sick Time Posts from the PathWays PA blog What can you do about earned sick time today? Ask Congress to pass the Healthy Families Act, ensuring that everyone who works has paid sick time to care for themselves and their families. Please write an email, sign a petition, Tweet your friends (use the hashtag #sickdays if you can, and direct them to sign the petition at http://is.gd/uTvx), or make a phone call today. In Pennsylvania, a large and diverse group of families who may not be below the Federal Poverty Level are experiencing economic distress and are routinely overlooked and undercounted. That’s the finding from PathWays PA’s latest publication, Overlooked and Undercounted: Struggling to Make Ends Meet in Pennsylvania, which uses The Self-Sufficiency Standard of Pennsylvania to determine how many households live below self-sufficiency. This report will be released on May 12, 2009, at www.pathwayspa.org and at our blog, http://policypathwayspa.blogspot.com. 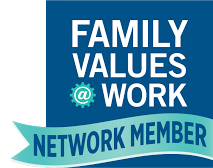 Join the Coalition for Healthy Families and Workplaces! PathWays PA is working with a number of organizations, including ACORN, Maternity Care Coalition, SEIU, and Women’s Way, to support earned sick days for all workers in the City of Philadelphia, by forming the Coalition for Healthy Families and Workplaces. The Coalition is endorsing the Promoting Healthy Families and Workplaces, Bill No. 080474. To give you a better sense of the Elder Economic Security Initiative, we wanted to show our presentation on the initiative. You can also find documents for the initiative at www.pathwayspa.org. The Christian Science Monitor yesterday reported on employers who actively seek out workers 50+ for the skills and experience they bring to the workplace. While not every older worker wants to stay in the workforce, we need to remember that many older adults don't want to sit at home either. Their experience in the workforce, whether on a full-time, part-time, or even volunteer basis, can be invaluable to an employer and to clients. Is It A Happy Older Americans Month? I wanted to wish everyone a Happy Older Americans month, but it may not be so happy for some. Anyone planning for retirement – especially those relying on infamous investors – feels less secure than they did a year ago. On May 6, 2008, PathWays PA, along with Wider Opportunities for Women, CARIE, and the United Way of Southeastern Pennsylvania, released the first edition of The Elder Economic Security Initiative for Pennsylvania. In it, we showed that in Pennsylvania, one out of four elders relies upon Social Security as his or her sole source of income, even though Social Security comes nowhere close to covering the needs of elders. Our Policy Brief goes into more detail, but the needs of Pennsylvanians boil down to saving for retirement when possible and knowing about the programs available to retired Pennsylvanians. Low-income housing takes care of the biggest need in retirement, but food stamps, prescription assistance, and medical assistance help a lot too.